Will it be possible at some point to chop limbs off of horses? It's not particularly useful but I think it would be cool to be able to slay them just like the other enemies! Just imagine a horse mounted by a knight riding full speed towards you and you just manage to decapitate the horse while it's charging! Maybe this question was asked before, but are you planning on letting us preorder the game? Love your work, can't wait to see it! Hey! 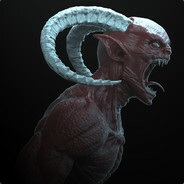 Ain't you the guy that made the Crypte horde map? The alpha, where can we get it?? ?